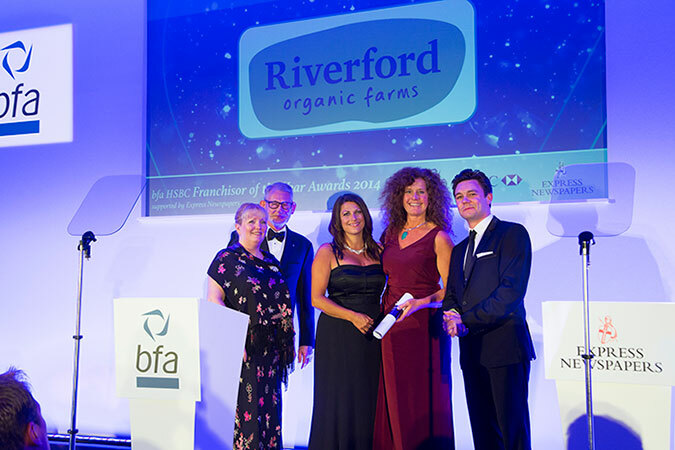 Designed to celebrate the country’s most exceptional franchisors, the British Franchising Association’s annual awards counted an organic farm on its shortlist this year. National vegbox scheme Riverford delivers across most of England and South Wales through a network of franchisees, known as ‘vegmen and vegladies’, who know and support their customers in the use of their fruit, veg, dairy and farm shop items. The awards were held at a black-tie gala dinner at Heythrop Park in Oxfordshire. Hooray! 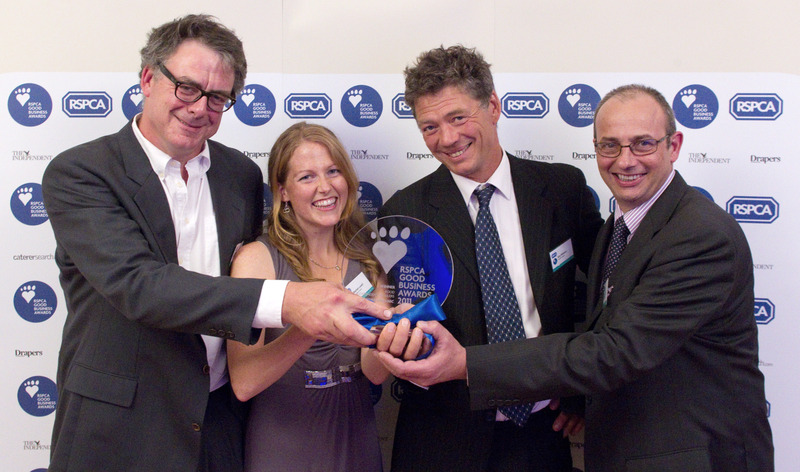 We’re massively excited to tell you that we’ve won an RSPCA Good Business Award! Best Independent Retailer in the Food category. The award was presented at a ceremony held at London’s One Marylebone, alongside accolades for pubs, restaurants, caterers, supermarkets and fashion businesses who are going the extra mile for animal welfare. Here’s a photo from the awards do in London, with Ben, Rachel, Guy and Mark all looking very smart indeed. Each year the Soil Association run the Natural and Organic Awards to recognise some of the best businesses in the organic market. We are happy to say that we’ve been shortlisted for the award this year. 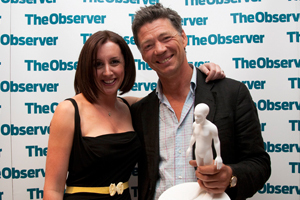 Please vote for Riverford at http://www.soilassociation.org/Takeaction/Buyorganic/Retailerawards.aspx. Voting closes Monday 22nd March. We’ve been nominated in the ‘Favourite to-your-door food supplier’ category of the Good Housekeeping Food Awards. Please vote for us – you might even win a luxury weekend break while you’re at it! Voting closes 21st December. Posted in What do our customers want? We seem to be doing pretty well with awards recently. First the Observer’s ‘Best Ethical Restaurant’ and now ‘Best Organic Retailer’ at the Natural and Organic Awards,sponsored by the Soil Association. Many thanks to all of you who voted for us. I like to think that we won for patiently sticking at what we know and, year on year, getting steadily better at it; for being the real McCoy, rather than a brand created in response to a market trend.